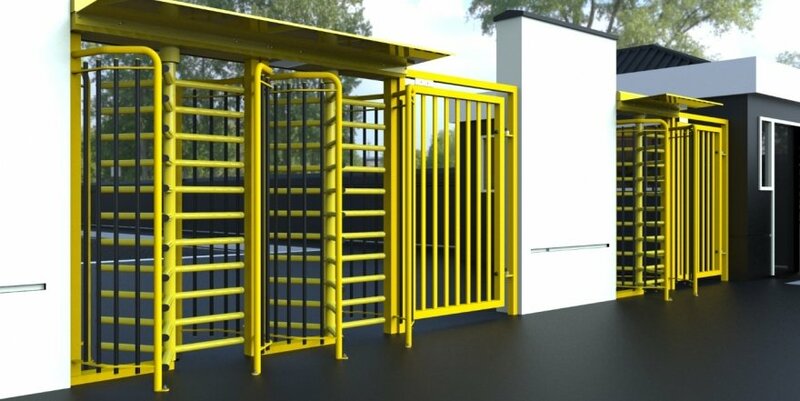 The 4000 Full Height Turnstile range is a high specification turnstile, suitable for controlling access in environments such as reception areas, schools, public building and military bases. Our Turnstiles seamlessly form part of high level perimeter security, requiring low usage knowledge. Constructed from Mild or Stainless Steel for long lasting and maintenance free performance, the 4000 offers a comprehensive range of features to suit individual client requirements, including 90º or 120º rotor assemblies, canopies, down lights and fire alarm activation (to engage free rotation). Turnstiles can be configured as bi-directional or single direction only. The 4000 turnstile range is available in single or double according to your requirements. The units are ready to bolt down and commission continuing our “Plug & Play” ethos. Due to our superior intelligent yet simple,PLC controller. The turnstile can be configured for “Fail Safe” or “Fail Secure” modes on the event of power failure. Options also extend to varying height configuration, again tailored to suit your needs.